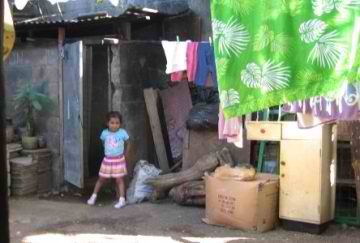 La Primavera is one of the most impoverished neighborhoods of Managua. It is also one of the largest, with a population of over 25,000. It lies on the shores of Lake Managua, one of the most polluted lakes in the world. In the lake side settlement of La Primavera, where Women in Action is located and carries out projects, many of the households are headed by women. Before the WIA project began, there were few opportunities for education, training, or employment opportunities, so women were left to pick through garbage, work as street vendors, send their children to beg, or resort to prostitution. Many families went hungry. In October of 2000, against incredible odds, the women of the settlement formed WIA in order to answer the needs of the community. Since that time, WIA have worked hard together to carry out several successful projects that are dramatically improving community health and nutrition, providing educational opportunities for adults and children, and offering sources of income for families.